Watch sunrise and sunset from your own dock with gorgeous views and magical marine life appearances in this beautiful fully remodeled 2 Bed/ 2 Bath + Office/ Den with Pool, Large Dock & Lift. This home is a Boaters paradise! Sitting in an unusually wide canal to easily accommodate large boats; giving access to the inter-coastal waterways and the Gulf of Mexico. Enjoy boating, site seeing, and dining in several nearby inter-coastal restaurants. Open backyard oasis equipped with custom marine-grade UV shade sails, equipped with a removable child proof pool enclosure and PVC fencing for beautiful waterfront stress free entertaining. Located in a safe and cozy neighborhood that is perfect for boaters, fishing, jet skiing, water skiing, paddle boarding, kayaking and other water sports. Short walk or bike ride to the beautiful & historic Indian Rocks white sandy beaches to enjoy snorkeling, swimming and sunsets in the gulf. Small town feel with tons of community activities. Two-minute drive down to the NEW Water Park at the Holiday Inn. Great for kids and visiting families. Additional benefits: Custom Murphy Bed in 2nd bedroom to allow more floor space; Jacuzzi bathtub in master bath; Whole house water purification system; air conditioned garage storage room. Newly paved driveway; Side yard with plenty of sun for a garden. Sprinkler and Reclaimed water systems. 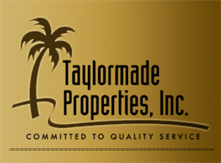 No Deed restrictions or HOA fees!